SWITZERLAND LEADS EU SHIFT TO THE RIGHT: Anti-Muslim immigration party wins big in Parliament elections! 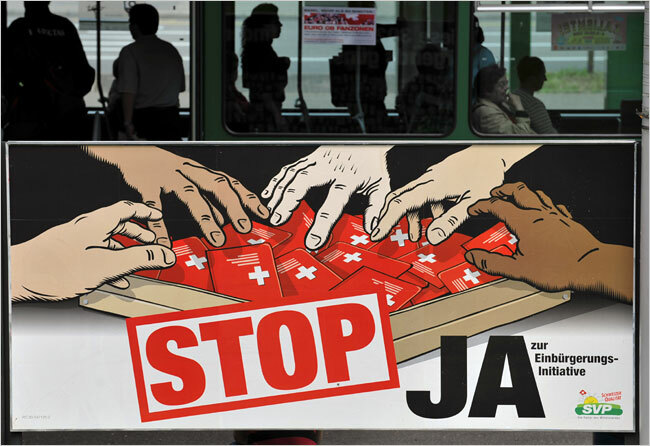 The Anti-Muslim immigration Swiss People’s Party (SVP) wins largest share of vote in parliamentary election on Sunday, prompting talk of a “Rechtsrutsch slide to the Right,” keeping pressure on Bern to introduce quotas on Muslims moving into Switzerland. UK Telegraph Success for the SVP, coupled with gains made by the pro-business Liberal Party (FDP), led political commentators to talk of a “Rechtsrutsch” – a “slide to the right” – in Swiss politics. Immigration was the central topic for voters amid a rush of Muslim asylum seekers from the Middle East and North Africa to Europe. “The vote was clear,” SVP leader Toni Brunner told Swiss television. “The people are worried about mass migration to Europe.” Sunday’s result cemented the SVP’s position as the dominant force in Swiss politics. It won 29.4 percent of the vote, according to the final tally from Swiss broadcaster SRF, up from 26.6 percent in the 2011 vote and far exceeding expectations. It was the best performance by a party in at least a century. This translated to an extra 11 seats in Switzerland’s lower house of parliament to bring its tally to 65, the highest for any party since the chamber’s membership rose to 200 in 1963. The election gains for the SVP, which was already Switzerland’s biggest single party, come 20 months after the Swiss in a referendum backed limits on foreigners living in the Alpine nation. The SVP had strongly supported the restrictions. 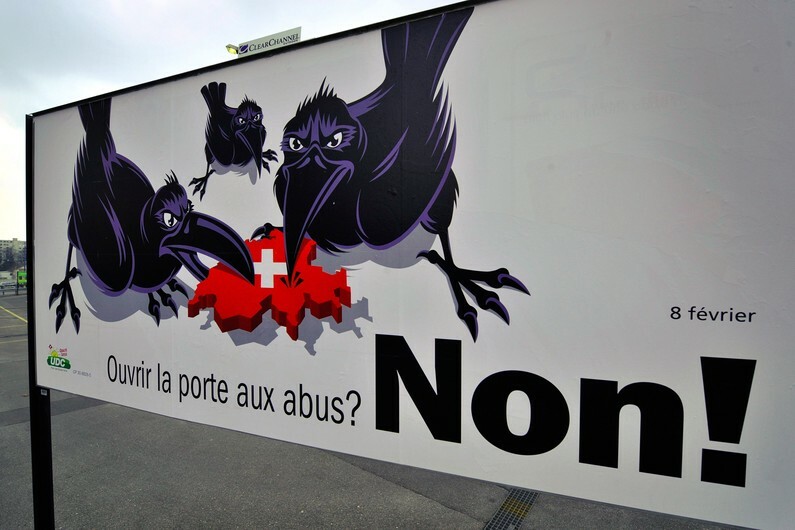 Lawmakers have until 2017 to reconcile this referendum result with an EU pact that guarantees the free movement of workers, otherwise the Swiss government must write quotas into law regardless of any compromise with the EU. The Swiss system of direct democracy means citizens decide most major issues in referenda regardless of parliament’s makeup. But the latest right-wing gains should keep pressure on Bern to take a hard line with Brussels as it seeks to implement the immigration referendum. 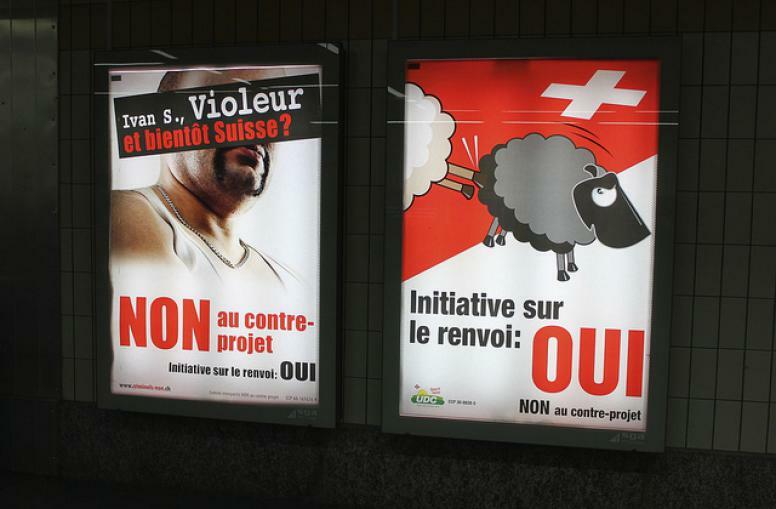 During the election campaign, the SVP rallied against Swiss reforms to deal with asylum seekers, even though in Europe’s current migrant crisis Switzerland is handling far fewer migrants than some other nations such as Germany. With slogans like “Stay free!” it has also played to fears that Switzerland may head towards EU membership, while also producing tongue-in-cheek YouTube music videos in a bid to appeal to younger voters. Sunday’s result prompted calls from the right for greater representation in Switzerland’s seven-member governing council, the composition of which will be decided in December by parliament. The SVP and FDP currently have one seat each. “I emphatically demand that the three biggest parties should each have two seats and the fourth biggest party one,” Brunner said. Switzerland is not in the EU. Massive deportation must be done to save their nations from the forceful imposition of Sharia Law. No surprise here, Switzerland was a country of mercenaries, it’s in their blood, not to be PCs. Wish he lived in Canada. They’re voting today and the only one to vote for is Harper yet again. Sadly. Lets not forget that India kicked them out again. The invasion of India by Islam is till considered the worse invasion of one culture over another in human history because of filthy Islam’s brutality. By the time the Indians kicked them out as the controlling government they had killed 9 million Indians, horribly. The Spanish did it too….. threw them out. I don’t believe they cant be thrown out again, especially these days with strong combined multi force. They will be removed and rounded up en masse to whatever fate the European people consider. All this Socialism/ left crap has given the scum a false sense of security and they don’t realize how quickly that can change. They will be thrown out, its not the same as the past with the massive firepower that can be harnessed v quickly. Their lives will become a hell as they are attacked in the street and some will leave under their own steam. As their lefty protectors go under so will they. Muslim blood will run in the gutters. Mosques will be demolished as Angola is doing. 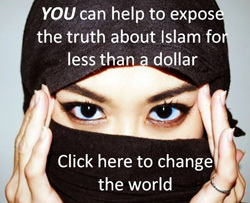 They are the 1st country to ban Islam and they are bulldozing the mosques. Some left Ireland last year because of the attacks. When I travel to Germany I want to meet real Germans, drink beer and eat a pork sausage in a bun. When I travel to France, I want to eat great food and drink champagne. When I travel to the… You got my point and hope other countries in Europe will make the Swiss move. I love Europe and European people and I hope they will face the simple fact. Islam in Europe must be stop. They don’t wish to be the best Germans, Franch… They wish to be Muslim and to live by Islam dogma. I was once told that to live in Switzerland one had to be wealthy and have a sponsor. An excellent sign. By next election, you are ‘IN’. Congratulations! It is about time. FINALLY!…the Left-wing, Multicultural suicide of Sweden has received a set-back! Watch how the Government will try to ignore the clear will of the people, and use repression to prevent the wishes of its REAL citizens, from reclaiming the country. 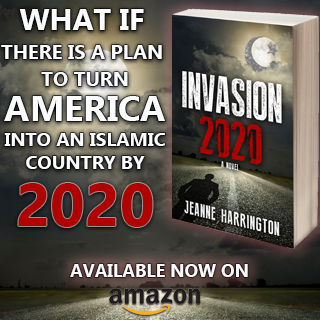 This is beginning to happen all over Europe…..awake, and resist the invaders!!! EF, this is Switzerland, but hopefully it will find its way to Sweden. To my friend, Simon, in Switzerland, who is an ex pat from the UK : Be strong in the Lord, never give up hope. 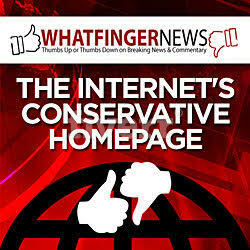 We are in the first stirrings of the Spring of Liberty! Viva Cristo Rey! Does MISTER BNI read this? LOL! Only once in awhile. He hears enough of it from me. I just “Googled” him, he’s married with 3 children. Hope we can all hear more from Oskar Freysinger. Great speech!